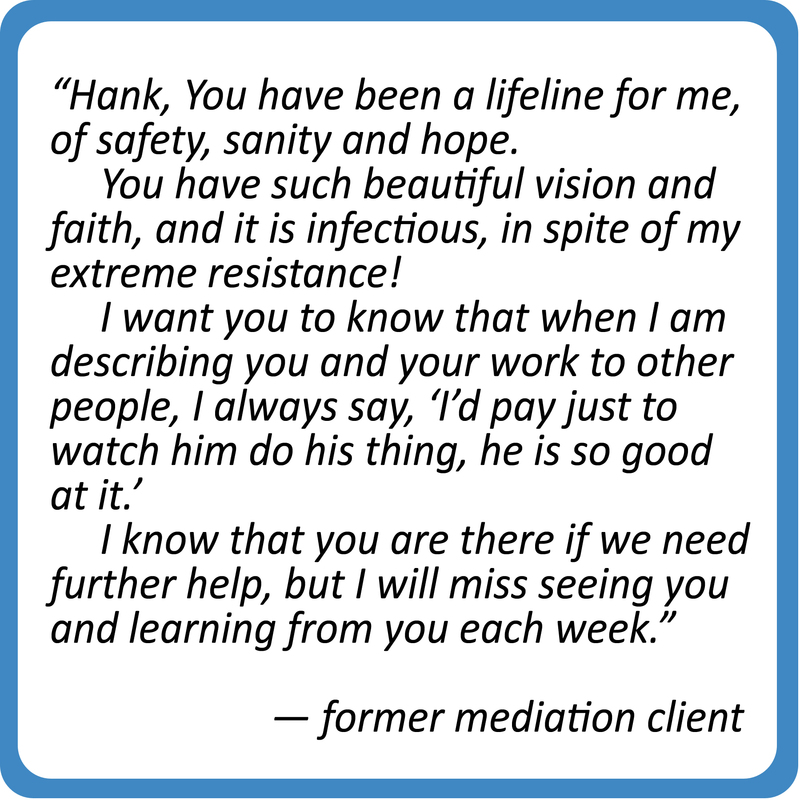 Importantly, mediation offers value not only to families in painful conflict, but also to families that are simply trying to make important and difficult decisions that will impact each other differently. 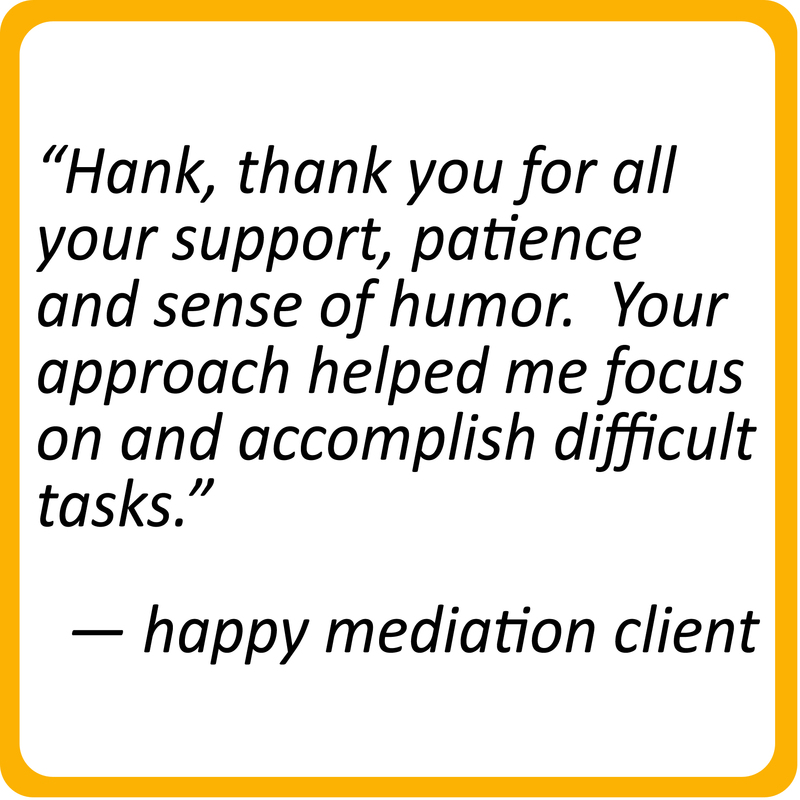 For example, there are many couples who, in the course of ending their marriage, pursue an amical divorce through mediation recognizing that a neutral third party can help them navigate the difficult conversations required to craft a fair and wise marriage settlement agreement. 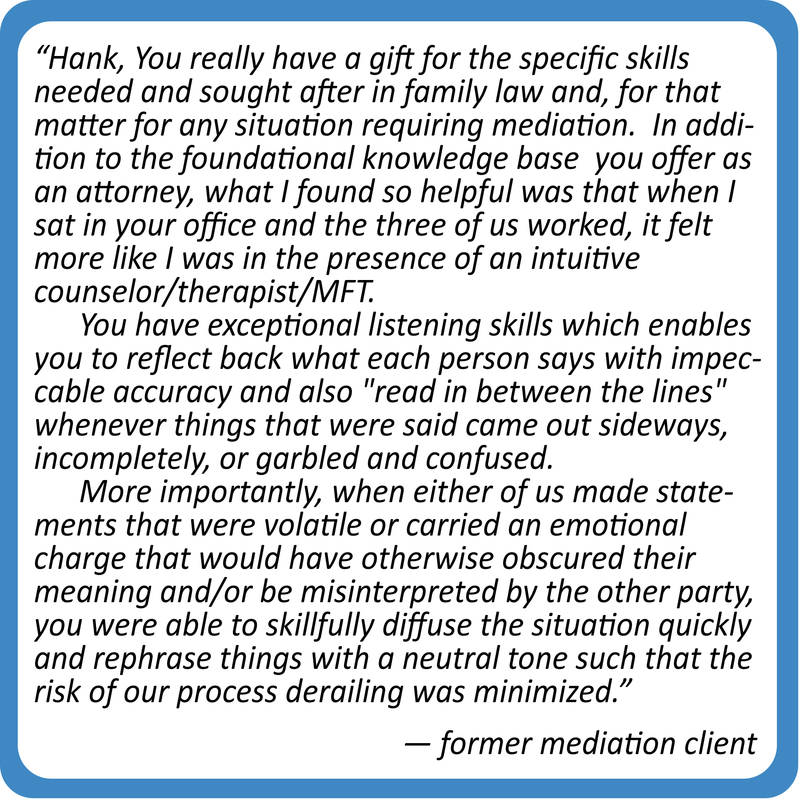 Similarly, siblings who share strong bonds of friendship may choose mediation as a way of discussing conflicts of interest between them created by the estate planning of their deceased parents. 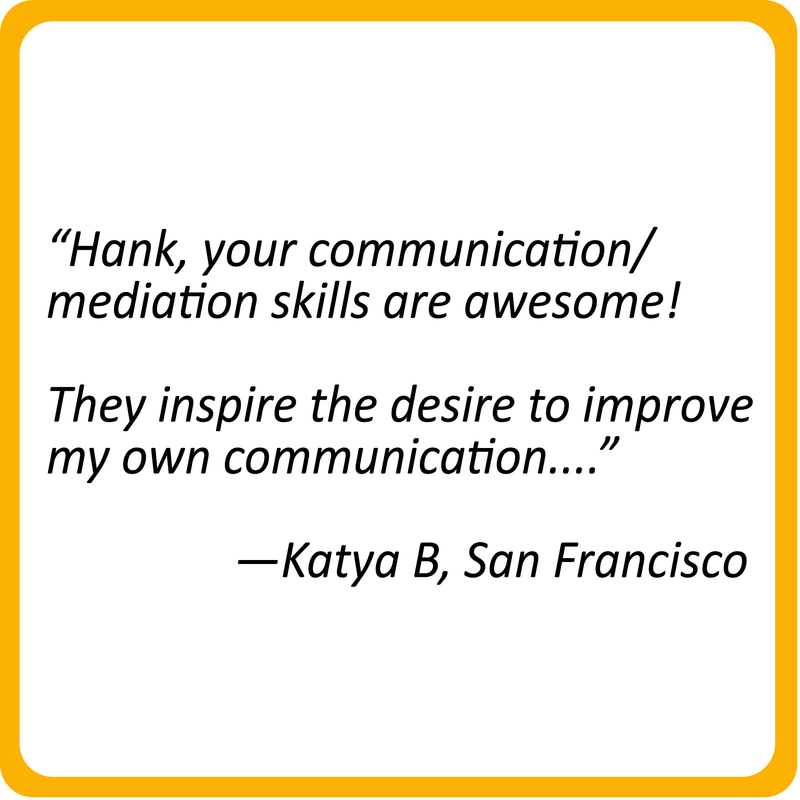 And more and more people are realizing that mediation is a process that can be used proactively, before a conflict arises. 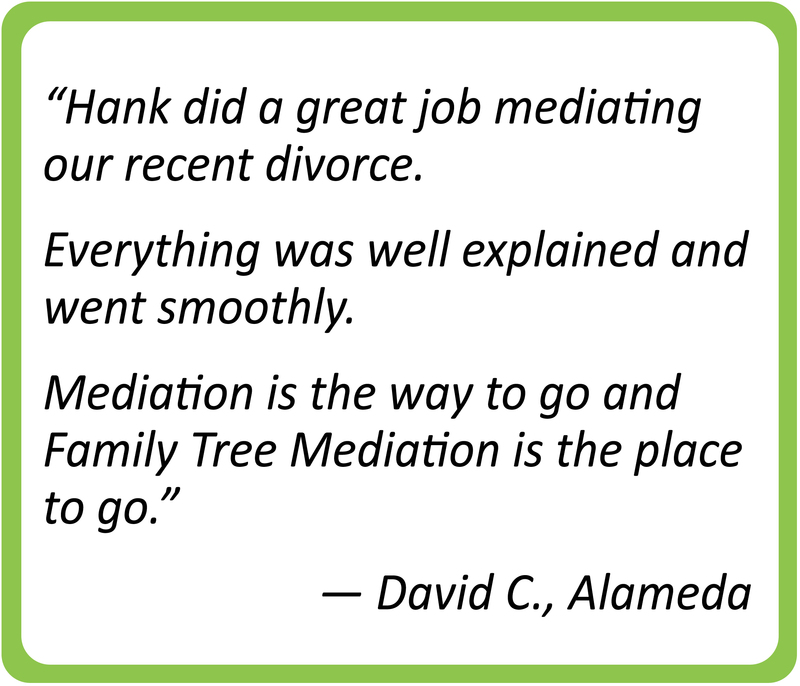 For example, some turn to mediation to engage the entire family in the estate planning process in a way that helps avoid sibling disharmony in the future. Others might seek its assistance in strengthening a life-partner relationship or to help parents and children navigate the transition to independence. 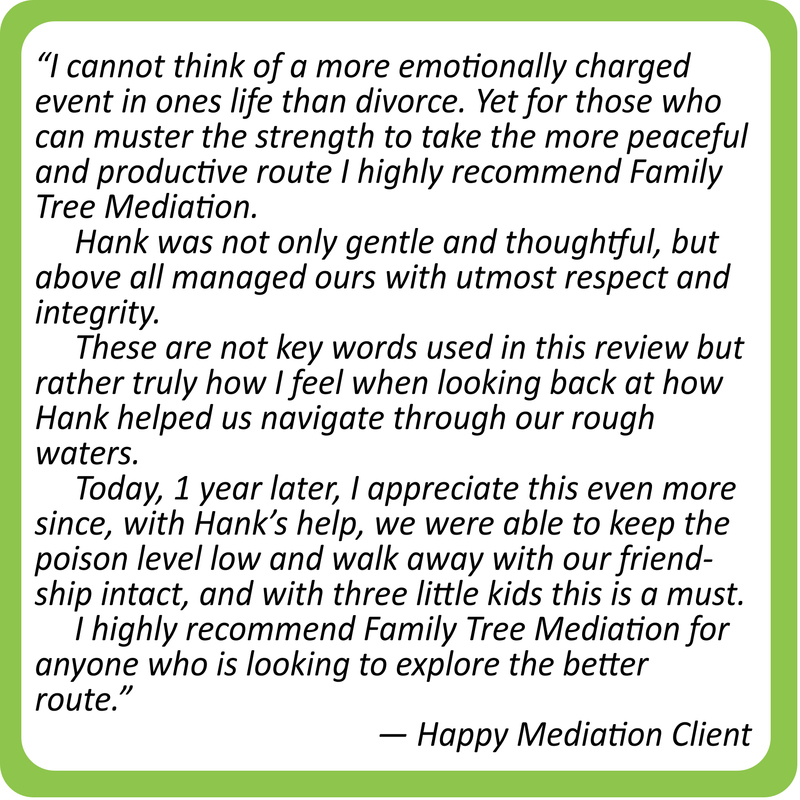 Whether you are suffering the pain of unwanted change in your family tree or are seeking a wise and cost effective means of navigating a difficult problem or are proactively attempting to avoid problems altogether, Family Tree Mediation would like to help.